Fall into the autumn concert season by letting Metro get you front and center stage to these October events. Ariana Grande starts October on a high note, performing at the Scottrade Center on Oct. 4. After that, WWE will return to St. Louis for the final time this year on Oct. 10. The circus comes to the Scottrade Center on Oct. 16 through Oct. 18 with the Ringling Brothers and Barnum & Bailey Circus Xtreme (get ready for crazy-stunts and acrobats rappelling through a three-story tower and that’s just one act!) Singer, songwriter, musician and producer Stevie Wonder will finish off October performances at the Scottrade Center when he brings his Songs In The Key Of Life Performance tour to the venue October 25. Singer and songwriter Tori Kelly will perform at The Pageant on Oct. 9. British rock band Bring Me The Horizon will play the following week on Oct. 12. Chicago’s Chance the Rapper will perform the next day on Oct. 13. American indietronica band Passion Pit will perform Oct. 19 with Mat Kearney ending The Pageant’s October concert lineup with a performance on Oct. 13. No plans on Oct. 10? How about spending a night with Cedric “The Entertainer” at the Peabody Opera House? The event will feature actress and two-time Grammy Award-winning singer Patti LaBelle as the headline performer. Multi-platinum recording artist Josh Groban will bring his North American sold-out tour to the Peabody on Oct. 19. The following week, Bill O’Reilly and Dennis Miller bring their wildly successful U.S. tour to St. Louis on Oct. 23. Comedians Jeff Foxworthy and Larry the Cable Guy end the month at the Peabody with a few laugh, bringing their We’ve Been Thinking Tour to St. Louis Oct. 30. Avoid construction, traffic jams and the hassles of finding a parking spot by taking Metro. Leave your vehicle at any of our 21 free Metro Park-Ride lots in Missouri and Illinois and take MetroLink to the Civic Center MetroLink Station (just steps from the Peabody Opera House and Scottrade Center) or the Delmar Loop MetroLink Station (near The Pageant). 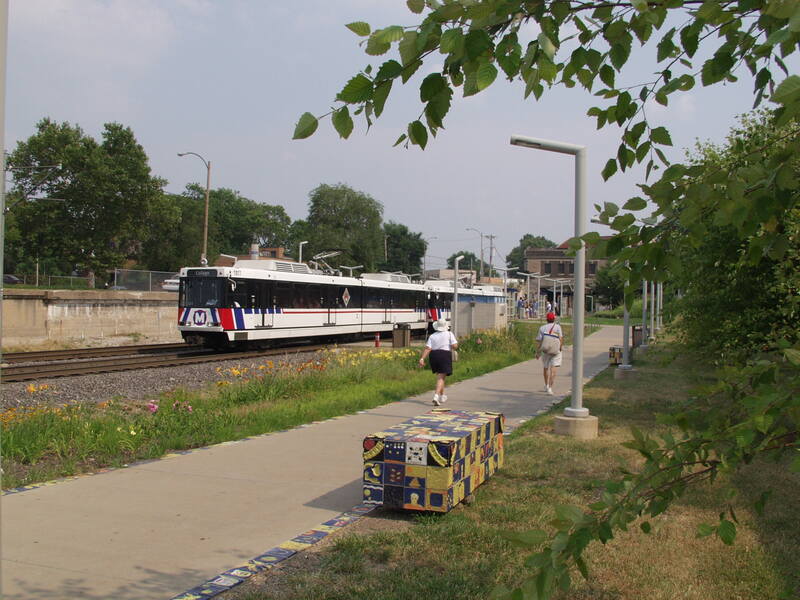 You can also hop on MetroBus to get downtown or to the Delmar Loop. The Civic Center Transit Center, located at the intersection of 14th and Spruce Streets just south of the Scottrade Center, serves more than a dozen MetroBus routes. 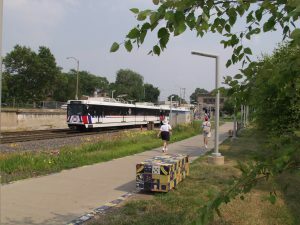 The Delmar Loop MetroLink Station serves five MetroBus routes. To plan your trip on public transit, use our handy Trip Planner.